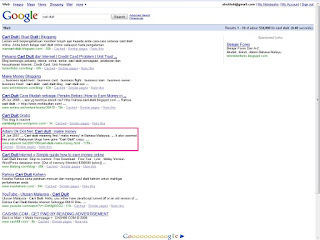 Someone just emailed me saying that he had found my blog on Google using the key words "cari duit". In Malay, cari duit means "searching for money/ earning money". 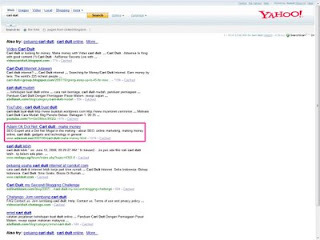 Being curious I did some research and I was pleasantly surprised when I found out that my old post "Cari duit - Make money" was #6 on Google and #5 on Yahoo! for the above mentioned key words. It's even higher on their respective UK pages: #5 on Google UK and even higher, #3 on Yahoo UK.